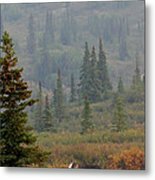 Queen duvet cover (88" x 88") featuring the image "Bull Moose In Alaska" by Karen Lee Ensley. Our soft microfiber duvet covers are hand sewn and include a hidden zipper for easy washing and assembly. Your selected image is printed on the top surface with a soft white surface underneath. All duvet covers are machine washable with cold water and a mild detergent. Wonderful capture opf wild life in Alaska! Thank you for your kind comment, I appreciate it! Thank you for your wonderful comment, Brian! Thank you so much for your wonderful comment, Alanna! I hope you have more opportunities to get some great moose images. 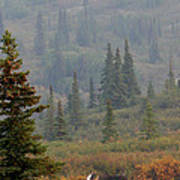 Ah Alaska such a beautiful state....and you did them proud with this capture of a bull moose Karen! 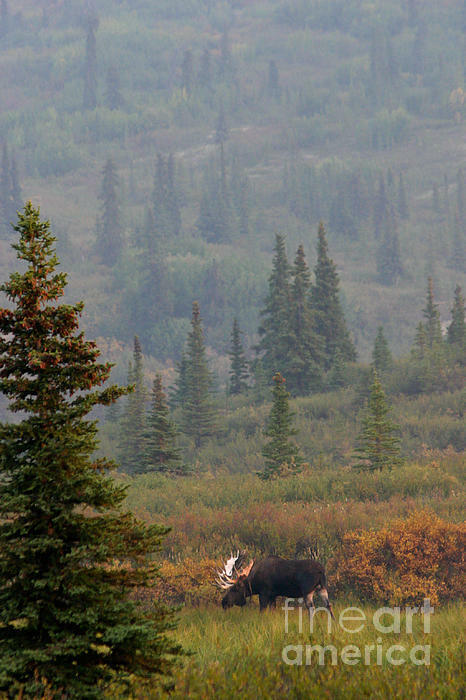 great capture of the moose at Denali. Thank you, Kim, I appreciate it! Love the depth of this one and the hungry guy in the foreground! Thank you so much, Nancy, for your great comment! Thank you so much, Marilyn, I really appreciate your enthusiastic and kind comments! 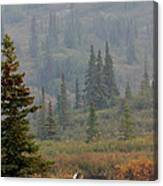 The late day sunlight highlights the large antlers of this bull moose in his natural environment in Denali National Park, Alaska.